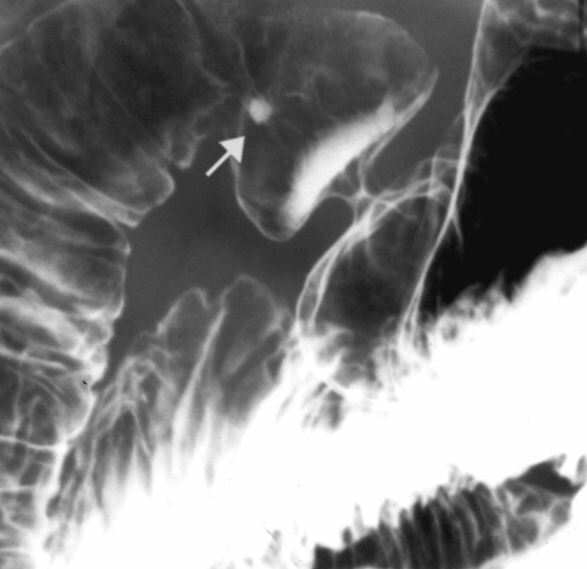 Image 1 (Barium Meal): Ulcer located in the first part of the duodenum (arrow). 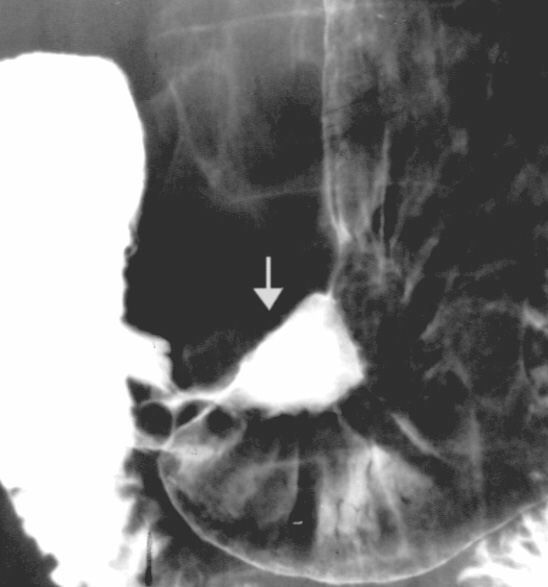 Image 2 (Barium Meal): Malignant gastric ulcer located in the antrum (arrow). 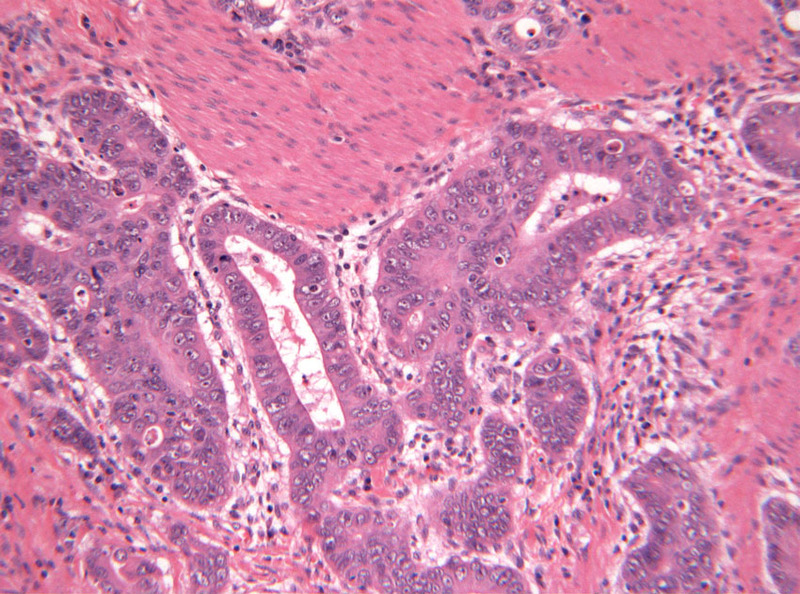 Image 3a (H&E, x2.5) and 3b (H&E, x10): Histological section of a gastric adenocarcinoma (intestinal type) showing irregular malignant glands invading through the muscularis propria of the stomach wall. 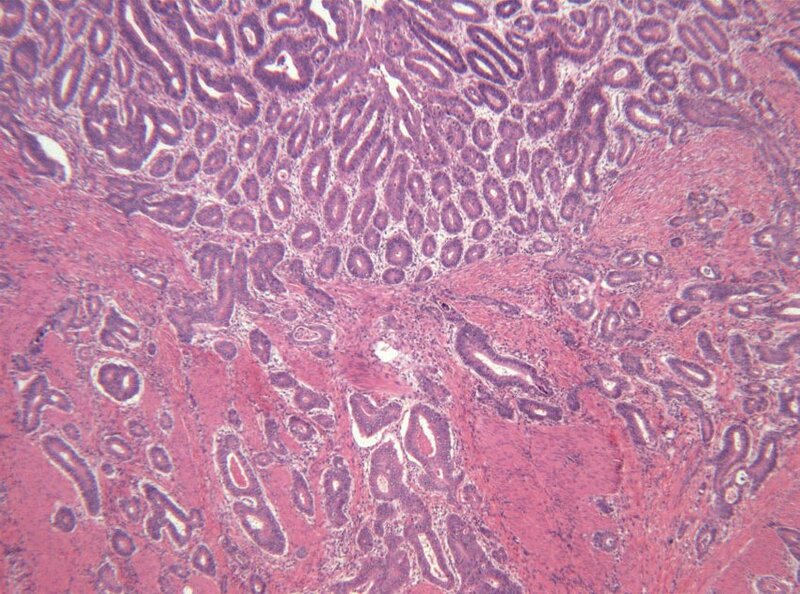 The high power image illustrates the usual cellular features of malignancy including hyperchromatic and pleomorphic nuclei with prominent nucleoli.